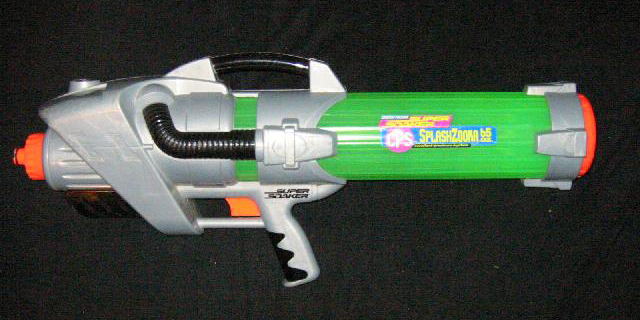 The CPS Splashzooka is a great soaker. 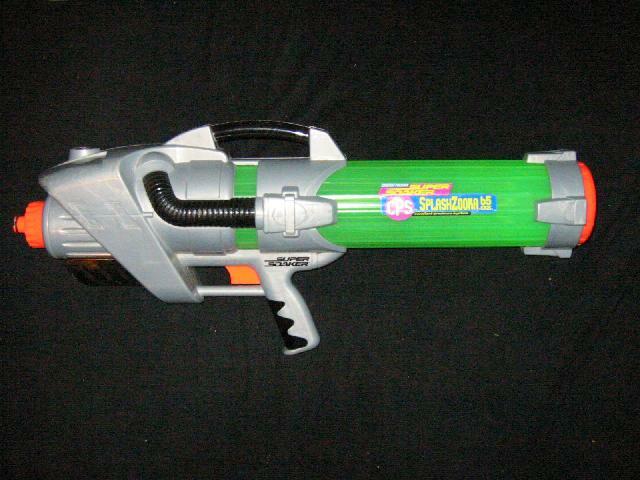 The Splashzooka uses Super Charger technology, but its tank is combined with its pressure chamber. 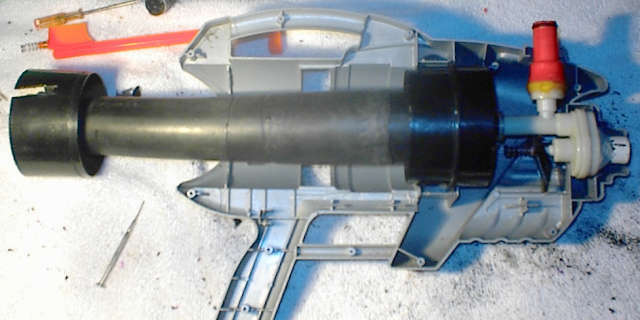 There is a part near the nozzle that appears to be a pump, but it's fake. Capacity is good, but this soaker is dependent on the QFD. Shot time is awesome at 30 seconds! The color scheme of this weapon is not the best. A CPS Splashzooka 65oz is a must have for any water warrior's arsenal.